They were teachers, engineers and accountants. Some had migrated to New Zealand decades ago, fleeing conflict or seeking a better life, while others were only in the Pacific country for short visits. Many died while trying to protect others. Officials in New Zealand have not yet released the names of the dozens of Muslim worshippers who were shot dead by an attacker on Friday at two mosques in Christchurch, but foreign ministries and diplomats from around the world have identified 15 of the victims. Those named hailed from Afghanistan, Pakistan, Bangladesh, Indonesia and Egypt. Early on Sunday, police said the death toll from the shootings at the Al Noor and Linwood mosques had risen from 49 to 50. At least 36 were still receiving treatment at hospital, with two being in critical condition. Here’s what we know so far about the victims of the gun assault, which authorities described as a “well-planned terrorist attack”. 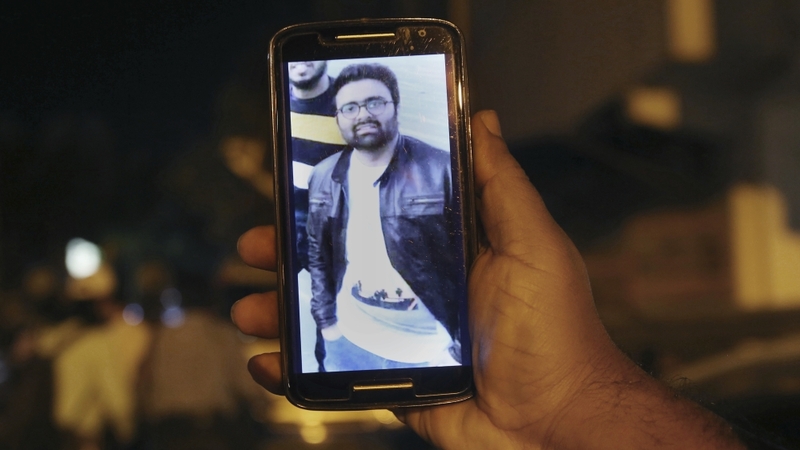 Naeem Rashid, originally from Abbottabad in Pakistan, was “badly wounded” at the Al Noor mosque after he tried “overpowering the shooter”, the Ministry of Overseas Pakistanis said in a series of Twitter posts. He was rushed to the hospital, but lost his life “due to indiscriminate firing”, the ministry added. Hero Christchurch mosque victim who wrestled with the gunman, Naeem Rashid from Abottabad, Pakistan. His son Talha was also killed in the attack. Stuff, a local news website, said Rashid was being hailed as a hero. His sister-in-law, Naema Khan, told the website that video footage of the shooting showed Rashid trying to stop the gunman. Describing Rashid as a kind and humble man, Khan said family members were calling from around the world to say, “He will be our hero”. Saleem Khan, Rashid’s maternal uncle, said his nephew was a “bold and brave man”. The 49-year-old migrated to New Zealand in 2009 and was a teacher, according to AP. Rashid’s son, 22-year-old Talha Naeem, was also killed in the attack, Pakistan’s foreign ministry said. Khurshid Alam, Rashid’s brother, told Anadolu news agency that his nephew had recently completed an engineering degree in New Zealand. “I spoke to my brother last week and he was planning to come to Pakistan to arrange his son’s marriage ceremony. But now we lost both of them,” Alam said. Rashid is survived by his wife, Ambareen Alam, and two sons. Mohammad Faisal, a spokesman for Pakistan’s foreign ministry, said the father and son would be buried in Christchurch. Afghanistan’s embassy in Canberra, the Australian capital, confirmed Haji Daoud Nabi’s death in a Facebook post on Saturday. The 71-year-old grandfather was among the first victims to be identified. Born in Afghanistan, Nabi fled the country in 1979 to escape the Soviet Invasion, his son, Omar Nabi, told Al Jazeera. In Christchurch, he ran a group called the Afghan Association to help refugees start new lives. Nabi, an engineer, is survived by four sons, one daughter and nine grandchild who he loved “immensely”, Omar said over the telephone. 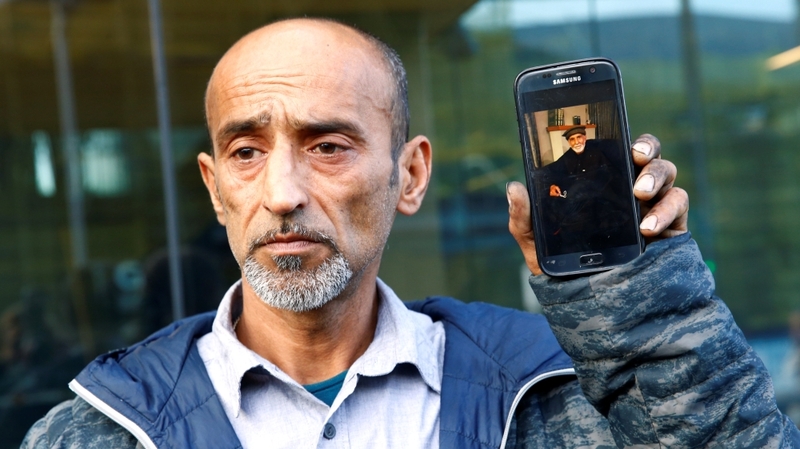 Earlier in the day, Nabi’s 43-year-old son told reporters in Christchurch that his father was killed after “he jumped in the firing line to save somebody else’s life”. Yama Nabi, Omar’s brother, told reporters that his father was “a very humble man who has helped a lot of people”. A friend repeatedly told him, “Your father saved my life,” Yama Nabi said. Originally from Madhur Hailla village in Bangladesh’s Kurigram district, Abdus Samad was among two people of Bangladeshi origin who died in the Christchurch attacks, according to Sahahriar Alam, the country’s state minister for foreign affairs. Born on February 23, 1953, Samad worked as a lecturer in Bangladesh’s Agricultural Development Corporation. He retired in December 2012 and moved to New Zealand with his wife and two sons the following year, according to a family member. After obtaining citizenship in New Zealand, Samad worked as a visiting professor at the Lincoln University in Christchurch. His brother, Habibur Rahman, told Al Jazeera that Samad used to lead prayers at Al Noor mosque. “He was a very pious person”, Rahman said from Kurigram. Hosne Ara Parvin, originally from northeastern Sylhet district in Bangladesh, was killed while trying to shield her wheelchair-bound husband, according to her nephew, Mahfuj Chowdhury. Speaking from Dhaka, Chowdhury said Parvin’s sister in law, Hima, survived the attack. Parvin, 42, is survived by her husband, Farid Ahmed, and daughter, Shipa Ahmed. She had moved to New Zealand in 1994. She was the second person of Bangladeshi origin confirmed dead in the Christchurch mosque shootings, according to Bangladeshi officials. Areeb Ahmed, a 27-year-old chartered accountant, was on a business trip to Christchurch when he was killed, according to Pakistan’s Geo TV. Areeb, who lived in Karachi, was the only son of his parents, the station reported. Pakistan’s Ministry of Foreign Affairs said he was among the six Pakistanis confirmed killed in Christchurch. Indonesia’s foreign ministry said its citizen, Lilik Abdul Hamid, was among the dozens who died in the mosque shootings. Retno Marsudi, the country’s foreign minister, conveyed her condolences to Hamid’s wife, Nina Lilik Abdul Hamid, the ministry said in a statement on Saturday. The Afghan Embassy in Canberra said a second man of Afghan origin, Matiullah Safi, had died in the attack. The statement on Facebook did not give additional details, but condemned the attack as “barbaric” and said three other Afghan nationals were wounded. Pakistan’s foreign ministry said Jahandad Ali from Lahore was among the six Pakistanis killed in the mosque shootings. Mahboob Haroon, from Pakistan’s capital, Islamabad, was also killed in the gun assaults, according to the Pakistani foreign ministry. Sohail Shahid died in the mosque attacks in New Zealand, said Pakistan’s foreign ministry. There were no additional details. In a post on Facebook, Egypt’s Ministry of Emigration said 68-year-old Munir Suleiman was among four Egyptians killed in the Christchurch attacks. Egypt’s migration ministry, citing authorities in New Zealand, also listed 68-year-old Ahmed Jamal al-Din Abdul Ghani as among those killed in Christchurch. It did not provide additonal details. Ashraf Morsi was the third Egyptian killed in New Zealand’s mosque shootings, the Egyptian migration ministry said. His age was not listed. He is survived by his wife, Siham, the statement said. Egypt’s migration ministry said Ashraf al-Masri was the fourth Egyptian killed in the Christchurch attacks, but did not provide further details. The statement said Tarek Elwassimy, Egypt’s ambassador to New Zealand, said the victim’s bodies will be transported back to Egypt or buried by Tuesday.